Think it’s hard to be stylish as well as environmentally responsible when it comes to outdoor furnishings? These days, it’s easier than ever. Here are some of our favorite ideas to help you love the Earth as much as your yard. Good design is an investment in the future, so it’s only natural that we consider our global impact. Being good stewards for the planet requires year-round dedication. This, fortunately, is not as difficult as you may think. You can do your part simply by shopping the plethora of modern companies committed to ecologically friendly practices. 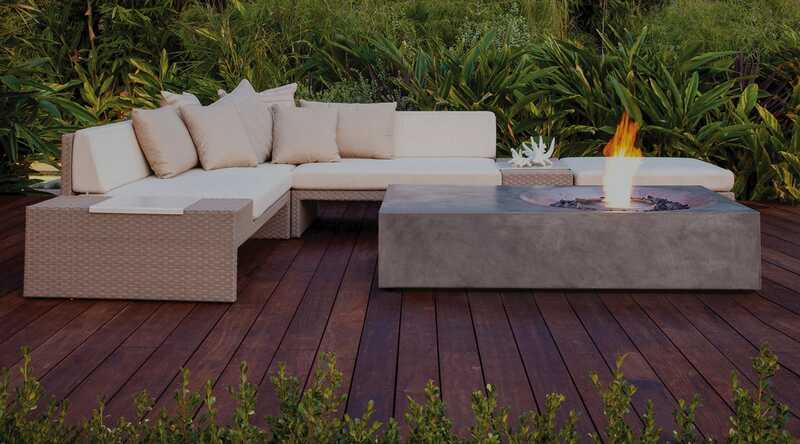 Choose outdoor furniture that is made from sustainable, recyclable or recycled materials. You’ll find many furniture companies that use recycled materials, but few look as cool as Innit Designs. With 100% recycled steel frames, Innit furniture is not only environmentally friendly, it’s made to last. The UV-resistant vinyl seats are pretty and super comfortable, to boot. Put a Bird In It. Nothing gets you in touch with Mother Earth better than witnessing her furred and feathered friends frolicking in your garden. Loll Designs’ birdhouse is not only a place for backyard birds to call home, it’s also made from a durable polymer (comprising mostly recycled milk jugs), which is easy to keep clean for years of happy avian homemaking. Cheery colors coordinate with a variety of design schemes without detracting from the natural landscape. A place to gather round once the sun goes down, most any backyard can benefit from a fire pit. But wood-burning fireplaces create pollutants, in addition to smoky fumes clinging to your clothes and hair. EcoSmart Fire has the solution with their bioethanol-fueled pits and portable fireplaces. The cozy look and warmth of open flame is yours without the hassle and pollution. Whether you rent or own your home, potted plants are as close to an instant pick-me-up as you can get in the garden. But even though many pots aren’t built to withstand years of use, your instant upgrade doesn’t have to be disposable. Try these 100% recyclable resin planters from Crescent Garden, which have a 10-year warranty. They look substantial and impressive, but are lightweight for easy moving around the yard, and resist fading, weather and cracks for longevity. So, what to plant in your recyclable/recycled material planters? Bee-friendly plants, herbs and flowers, of course. 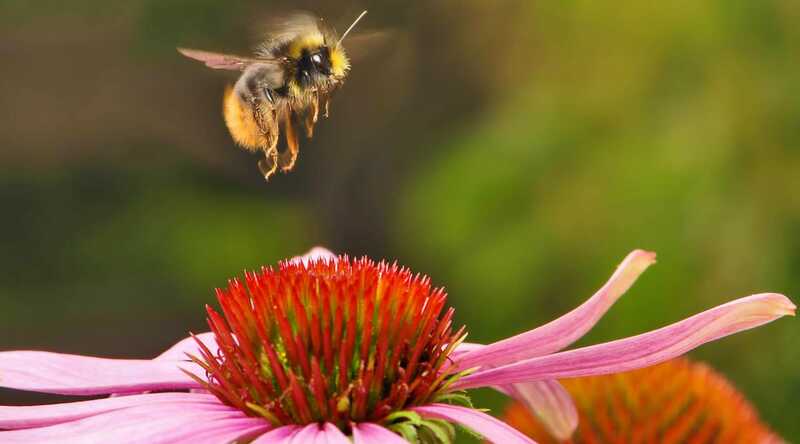 A collection of pollen and nectar producing plants will encourage native bees to stick around, and providing them with a pesticide-free place to grab food will help the population thrive. Native plants as well as agricultural crops rely on these little pollinators, and most honeybees won’t bother you. You can even go a step further and construct a bee house for native non-honey producing species, or go full-on apiarist and keep a real backyard hive (according to your local laws, of course). Check out the helpful tips from the Honeybee Conservancy for more.